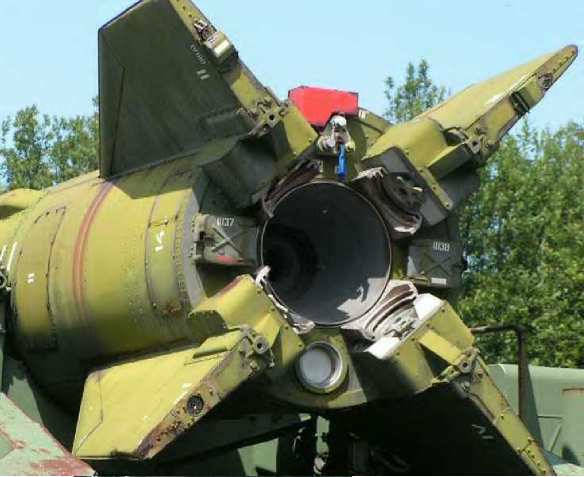 What's very notable about this video is that while the markings and damage on the missile appears identical to the one pictured below it appears the missile in the video is covered in much more overgrowth. 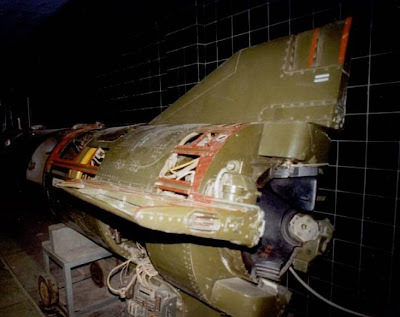 This seems to indicate that the photograph was taken at a much earlier date, which suggests these missile remains have been in place for many months. However, it should be noted one photograph shouldn't be considering 100% positive proof this is from Syria, but I've been unable to come across the same image using various online search tools. If it is a genuine image then this is the first clear debris evidence of Scud missiles being used in Syria. No mud dragged to the rear of missille the scud is rusty, it's not even flatten (a scud fly but can't land like a sheet of paper ...). I think it's a SCUD-D. It's lacking the warhead, which would imply that the warhead separated in flight. The SCUD-D would share strong similarities with the SCUD-B. The main difference is that the warhead on the D model separates and has a guidance system on it, increasing its accuracy. In the SCUD-B and C, the warhead does not detach and the rocket body is generally obliterated when the warhead detonates. @skyblog: It could very well be this SCUD was fired in anger. Once a rocket depletes its fuel it is comparatively light, and thus isn't traveling fast enough to be significantly deformed on impact with the ground. For comparison, look at the images of the North Korean orbital rocket stages that the South Koreans pulled up from the ocean floor. I also found this video online that claims to show a SCUD fragment, but frankly I have no idea what it came from. Whatever it is, it does seem to be part of a large missile, I'm just unsure of the type. A few people are looking at that video, it certainly appears to be a warhead from a large missile, but finding the specific type takes a while. Note he refers to clear physical remains of a SCUD slamming into a Syrian target. Launches are easily counted, at least before August 2013 because the launch pads were in one location. I read 170 launched sometime in 2013. They had to land SOMEWHERE! Longer range SCUDS are infamously inaccurate, one easily could strike a field instead of a random apartment building in Aleppo. 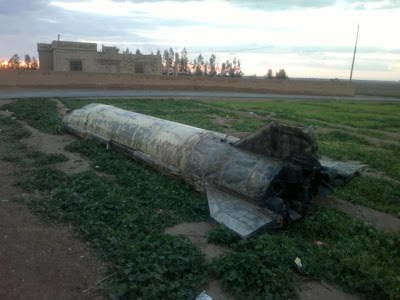 The SCUDS that slammed into Aleppo apartment buildings in terror attacks by Assad in February 2013 supposedly did indeed yield "jet missile" remains.